Your face is your fortune. OK, in your case it’s your misfortune. but here’s one PG (personal grooming) tip you can’t do without in the morning. massage this exfoliating wash onto face and neck, ideally before shaving. rinse with warm water and pat dry. hey presto, a mug that will even look good in a police mug shot. 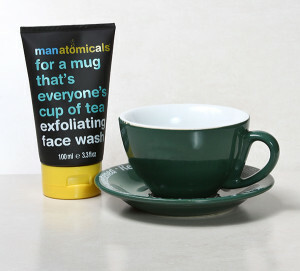 Give your mug a good scrub and remove pore-clogging critters with this stimulating exfoliating face wash. Dull as dish water skin cells will be scrubbed away leaving your face as a smooth as a James Bond chat up line. Wet your face with warm water to loosen the skins pores. Put some of your chosen product on the tips of your fingers and massage the entire surface of your face in small circles. Do not massage your eyelids, or under your eyes as this skin is far more sensitive, and could be damaged by even the softest of exfoliators. You can apply the same technique to your neck and shoulders. Exfoliate no more than twice a week for best results. Remember that exfoliating before shaving will make shaving more comfortable. It will also help to prevent razor burn.